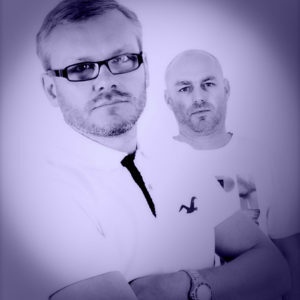 DJ’s / producers Darren James and Alec Milliner have been making a name for themselves with their distinctive mix of Deep House and Nu Disco, with recent tracks and remixes gaining chart success in the top 100 on Beatport, and a number 1 in their Nu Disco category. In addition to their own Capital Heaven label, releases have found home to Sleazy Deep, Prison Entertainment, Bedfunk, Mahayana and Avec Moi (with more to come on Funk Pony, Exotic Refreshment, and King Street). In less than a year the Framewerk sound has been supported across the spectrum of DJ’s, from Tiesto to Rob Made to Carl Cox. 2013 has also seen them produce sets for Decadence House, Pacha, Tunnel FM, Energy Radio Athens, Zero Day, Mix Feed, Sugar Rush, Semper&Solum, and Funk ‘n’ Deep. Additionally, after the success of their Pop Art Volume 1 compilation album in September, the wheels are in motion for Volume 2 to be released in March 2014.